Here at the ranch we also raise LGD's as protectors for our herd. We have found the Great Pyrenees to be the perfect breed for goat protection. They are loyal loving dogs who take their job seriously. They are fearless and fearsome to their enemies. They not only protect their goats, they protect their people, cats, dogs, chickens, children and area of responsibility completely. We usually will have one litter of beautiful puppies per year, with pups available at eight weeks with first shots. We never expected these dogs to steal our hearts so completely! Mans best friend describes them perfectly. If you are thinking of which breed to choose as your friend, guardian, and protection... 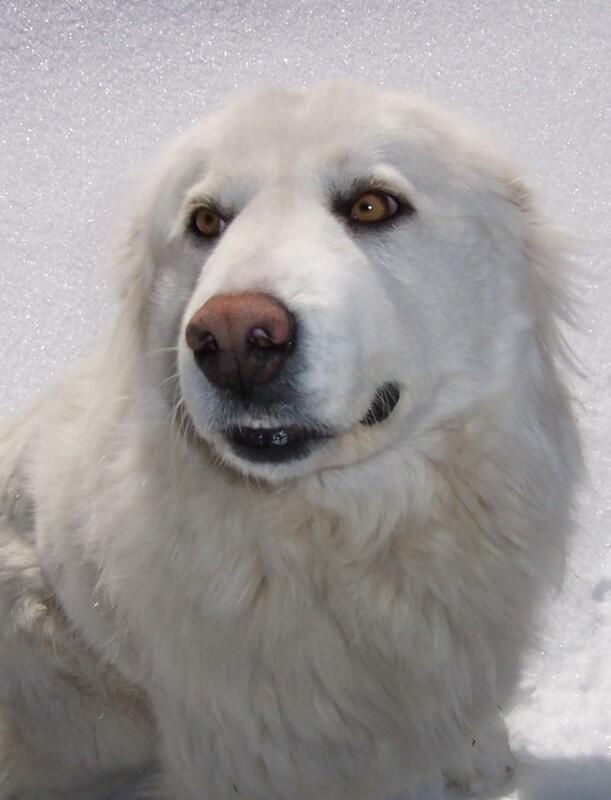 These dogs put the "Great" in Great Pyrenees!